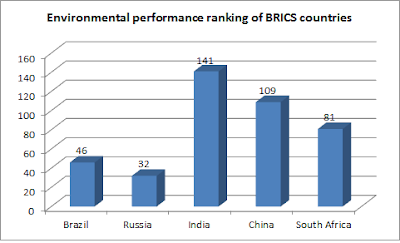 A Yale University, US, report has ranked India 141st among 180 countries worldwide in Environmental Performance Index (EPI), worse than all the “competing” BRICS countries. The report ranks Brazil 46th, Russia 32nd, China 109th, and South Africa 81st. The ten best performers in EPI are Finland, Iceland, Sweden, Denmark, Slovenia, Spain, Portugal, Estonia, Malta, and France. United Kingdom ranks 12th, and the United States ranks 26th. The only consolation for India is, it ranks better than three of the immediate neighbours – Pakistan, which ranks 144th, Bangladesh, ranking 173rd, and Nepal, ranking 149th. 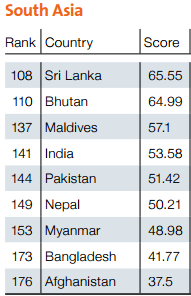 Sri Lanka ranks 108th and Bhutan 110th. While India has improved its performance by 14 points ever since the last report was released (it ranked 155th in 2014), there is little reason to cheer: It ranked 123rd in 2010, and 125th in 2012. 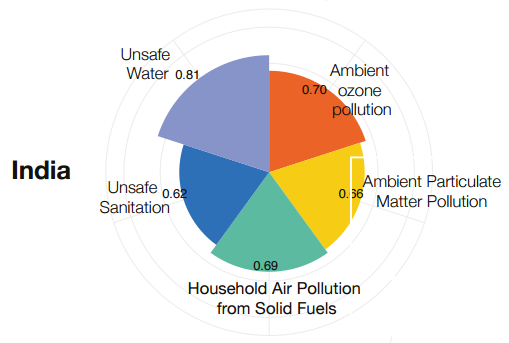 Titled “Global Metrics for the Environment”, the report has been prepared with the active support, among others, of the World Economic Forum (WEF), the top Switzerland based body working for “improving” industrial climate by engaging business, political, academic and other leaders. Referring to unsafe water, unsafe sanitation, ambient particulate matter pollution, household air pollution from solid fuels, and ambient ozone pollution, the report states, “Some countries, like India, perform poorly across all five environmental risk factors”. EPI ranks countries’ performance on high-priority environmental issues in two areas, protection of human health and protection of ecosystems, but factors taken into consideration also include tree cover and reduction in carbon intensity.